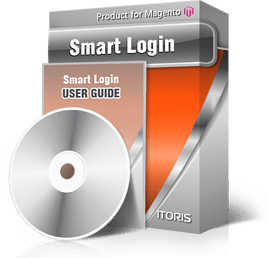 Allow your customers logging in or registering not leaving the current page using the Smart Login extension. The module creates the login / registration forms in a modal popup. No more redirects. Upon login or registration customer can be either left on current page, redirected to current store dashboard, or native store dashboard (where they were registered). If you run multiple stores on the same Magento installation sometimes it is useful to redirect the customer to the native store, for instance, wholesaller when they logged in on the retail store. If you have a SSL certificate installed on the server you can force the HTTPS login and registration even if customer is currently on a HTTP page. This is done for security purposes using the JSONP technique. The module includes all the important features associated with registration and login - forms, ability to retrieve password, validation. All this within the same modern style in modal windows. You can customize registration form using our Registration Fields Manager module and combine it with Smart Login, or create an extended registration via Magento means - the custom form will be displayed in the modal window.